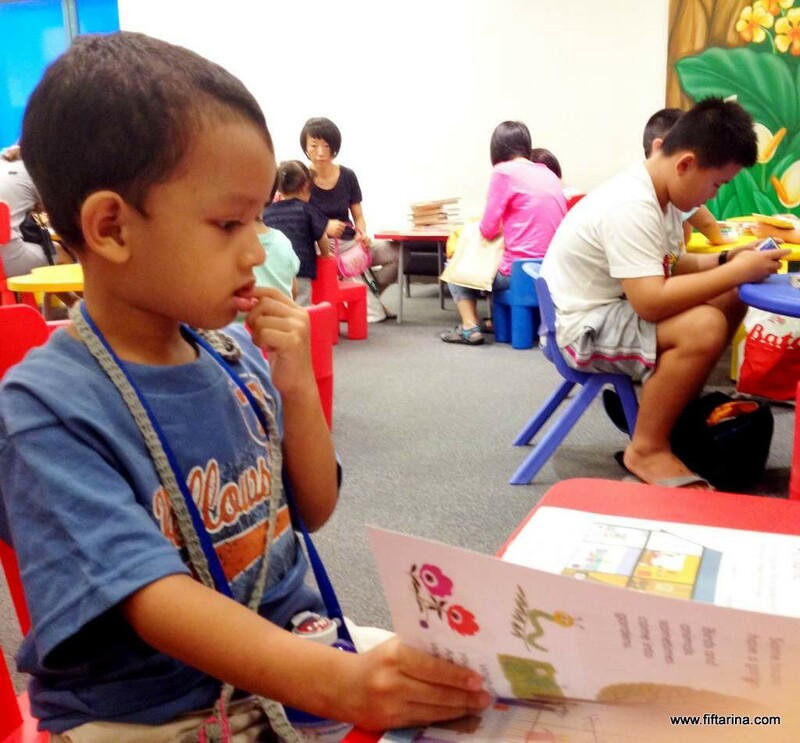 As a family, we would like to nurture our children to be a book lover. The reason is simple. Books contain a wealth amount of knowledge that children or even us as adults need. By loving book, there’s more tendency to get much more knowledge. Some of you may argue but hey, this is a digital era, everything can be found in Google, but still, books provide more in-depth, well-referenced knowledge that we may not find online. Now, how can we encourage our children to start loving book since young? In this article, I’d like to share with you five tips to cultivate this important reading habit in children. I’ve personally done these, and I hope you will benefit by practicing some of them. and I am sure your baby and you will enjoy reading it together. Nowadays, libraries are very child and baby friendly. They have a separate section dedicated for children books and they conduct various program to engage children in early reading. With its vast children book collection, I believe every child will find his / her favourite book. I began taking my eldest to library when he was just past one year old. We began by attending the story- telling session and borrow a few books. Slowly he began showing a lot of interest in ‘reading’ and now, reading is one of his favorite activity and library is a must- go-to destination at least for every two weeks. 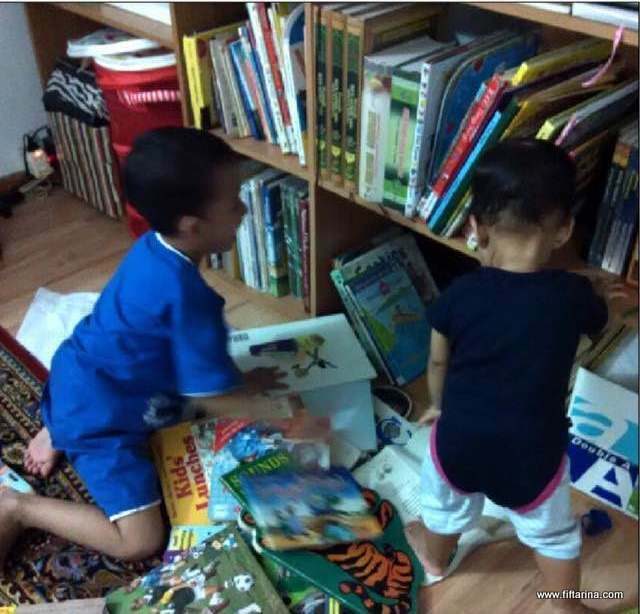 Her little sister, being exposed to her brother’s book collection since her infancy, has become an avid reader even at 15 months old. She will run in the library taking out books and read a few pages, before doing another book search, and this continues until she feels tired. Abdurrahman reading a book in library, so focused! I began collecting children books ever since my son’s babyhood. The collection has been growing such that it occupies two shelves of our book case. No, you don’t need to spend a lot of money for your kids book collection. Shop smart and I believe you will find a great deal to stock up on books (Check out my article on how to buy books for less). As said, our children book collection sits at the bottom shelves of our bookcase. 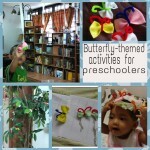 That way, the children can easily grab and read their books whenever they want, without the need of adult assistance. And that will encourage them to do reading on their own. By incorporating reading to daily routine, even if only for a few minutes, the kids will be more eager to read with us. Most family will have some reading time as part of bed time. Or, if this is not your family style, you can squeeze in reading time whenever you have spare time. Sometimes I don’t have time to read to my child personally, but when I call them during lunch time, I talk to them about one story from his favourite book and ask if he could find that book to read with me later. 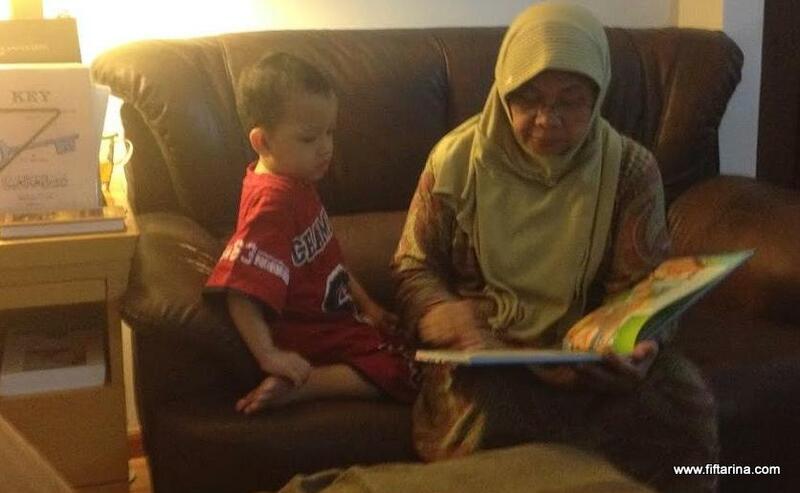 When I reach home, usually my son will have that book already out and been read again. Children see children do. When they see their parents read regularly, they will get curious on things that we read, or simply intrigued by the enjoyment of reading. Children loves to get involved while we read. My husband especially loves reading National Geographic magazine, and my son loves to curl up together with him looking at the magazine. They will talk a lot about nature while reading, discussing why or how certain natural phenomenon occurs, and so on. 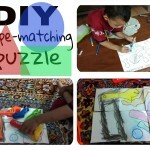 This will get them all excited together and definitely a great way to spend quality time with the kids. Alright, so those are five top tips from me on how to cultivate the love of reading in children. Do you have any other tips to raise that little book lovers? Add more in comments, please! Find out some reviews on our favorite children book here. Start shopping for children books. 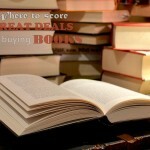 If you need more tips on how to get good deals on books, click here. Thanks for the compliment. Yes, I set up this blog on my own. I guess the pretty factor comes right from my theme. In case you are interested, it’s called Pretty Chic from Pretty Darn Cute Design. It is a paid theme based on Genesis Framework, but I guess it’s worth every penny. Highly customisable, and as you can see, very nice , right. Let me know if you have question about creating your blog, I’ll be glad to help.